The death care profession is unlike any other, and NorthStar Memorial Group actively elevates this unique profession to entirely new heights. That’s the kind of commitment that gets people talking, so here’s a look at what’s new and what’s being said. Eddie Stubbs is a Country Radio Hall of Fame member, announcer for the Grand Ole Opry Announcer, the announcer for The Marty Stuart Show, and WSM radio personality. Mr. Stubbs has been known to be called “The Walking Encyclopedia of Country Music.” Since July 1996, his weeknight broadcasts on 650 AM WSM (heard in 38 states and parts of Canada), and world-wide over www.wsmonline.com have amassed an almost cult-like following. He carries a tremendously diverse audience. His demographics ranges from elementary school children to senior citizens, blue collar works to legal professionals, iconic country music legends up to government officials, and religious leaders. 650 AM WSM is the most a country music station and known globally. WSM shares country, bluegrass, and Americana as well as the excitement of Music City with friends in Middle Tennessee and listeners around the world. WSM debuted on Oct. 5, 1925. Two months later, the station birth its most widespread show (and the show that would make country music famous), the Grand Ole Opry. Article Contributed by Eddie Stubbs from WSM. Recently, WSM General Manager, Chris Kulick, and myself visited a very loyal and dedicated sponsor, Spring Hill Funeral Home & Cemetery. Spring Hill Funeral Home & Cemetery partnered with WSM as an endorsing sponsor of The Eddie Stubbs Show in 2006. To express WSM’s appreciation of Spring Hill’s uninterrupted ten-year sponsorship of The Eddie Stubbs Show, the station had a special cut glass gift of recognition made. Tara Bessling has been the General Manager of Spring Hill Funeral Home & Cemetery for the past nine years and has been a special friend to WSM. Located on Gallatin Road at Briley Parkway, just a couple of miles from WSM and the Grand Ole Opry, Spring Hill Cemetery has been around since 1785. When they first opened, what is now Nashville, Tennessee was still part of North Carolina, and Gallatin Road was a buffalo trace. While Spring Hill’s grounds are quite historic, they still have burial space available in all but three sections. Just a few years ago, they opened several new gardens there, while even more acreage remains for future use. Just some of the country music notables that have been laid to rest at Spring Hill Cemetery include: Roy Acuff, Kitty Wells, Johnnie Wright, Hank Snow, Earl & Louise Scruggs, George Morgan, Billy & Bettie Walker, Floyd Cramer, Jimmy Martin, John Hartford, Keith Whitley, Gilbert ‘Speck’ Rhodes, Howard ‘Howdy’ Forrester, Jerry Rivers, Charlie Collins, Junior Huskey, Frances Preston, Pete Pyle, Roy Huskey, Jr., among others. Nashville’s first Mayor, Mr. Beverly Briley, whom Briley Parkway was named for, is also buried at Spring Hill Cemetery. Every year, Spring Hill Cemetery welcomes local visitors and those from all over the world wanting to come and pay their respects to the final resting places of some of the great legends of country music. If you’ll stop in the office at the funeral home (they’re open seven days a week), a friendly member of their staff will gladly give you a free map that will direct to the gravesites. Over the years, I’ve had so many unsolicited comments made by friends, business associates, and loyal listeners just how picturesque and immaculately kept the grounds are at Spring Hill Cemetery. Whether you’re interested in cremation, above ground crypts, mausoleum space, or traditional burial with a bronze ground level marker, an above-ground granite or marble tombstone, or an even larger statuesque monument, the personalization with these options at Spring Hill are virtually endless. If an individual has served in our nation’s Armed Forces (whether in combat or during peace time), Spring Hill will provide them with a burial space in the Veteran’s Garden in the front section of the cemetery free of charge. Adjacent burial space for family members of those veterans is also available for purchase. 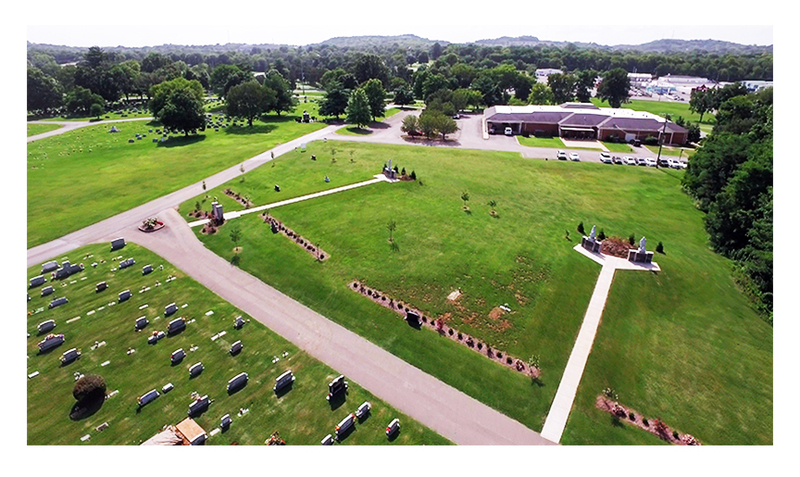 This year, Spring Hill Funeral Home celebrates its twentieth anniversary on the grounds of the cemetery. The beautiful colonial structured facility is equipped to handle the largest service or the smallest and most simplistic. Their chapel can accommodate two hundred people, and it, along with the visitation areas are equipped with state-of-the-art audio and visual equipment to properly honor the life and memory of the person they’ve been entrusted to. Whether you live in the Nashville area or out of state thousands of miles away, Spring Hill Funeral Home & Cemetery can handle your pre- arrangements which can be honored at any funeral home in the nation. Planning ahead eliminates all the guess work for those who are left behind to handle things when that inevitable time comes. From the type of service, you’d like, clergy and speakers you may wish to have participate, music to be played, along with the merchandise selected, getting your wishes in order brings tremendous peace of mind. Also, by pre-planning, you have the luxury of being able to go back and make any revisions you’d like. You can go with an unfunded pre-need program, or lock in the charges by financing or paying for everything in advance. Discussion of pre-planning with Spring Hill Funeal Home & Cemetery is available to you anytime free of charge without any cost or obligation by calling them at 615-865-1101. If you are in the area, you’re welcome to drop by the office at the funeral home seven days a week during normal business hours. For further information, or to take an on-line tour of their facilities, please visit their website at www.SpringHillFH.com. Whether you’re visiting Spring Hill Funeral Home & Cemetery to pay your respects, or if you’re utilizing them for their professional services, please take a moment and thank those that work there for continuing to sponsor the music that you’ll only hear weeknights on The Eddie Stubbs Show on WSM. Uninterrupted ten-year partnerships are extremely rare in the world of radio. WSM and myself both recognize that, and we hope that you will not only remember Spring Hill Funeral Home & Cemetery for you and your family but also that you might recommend them to your friends. 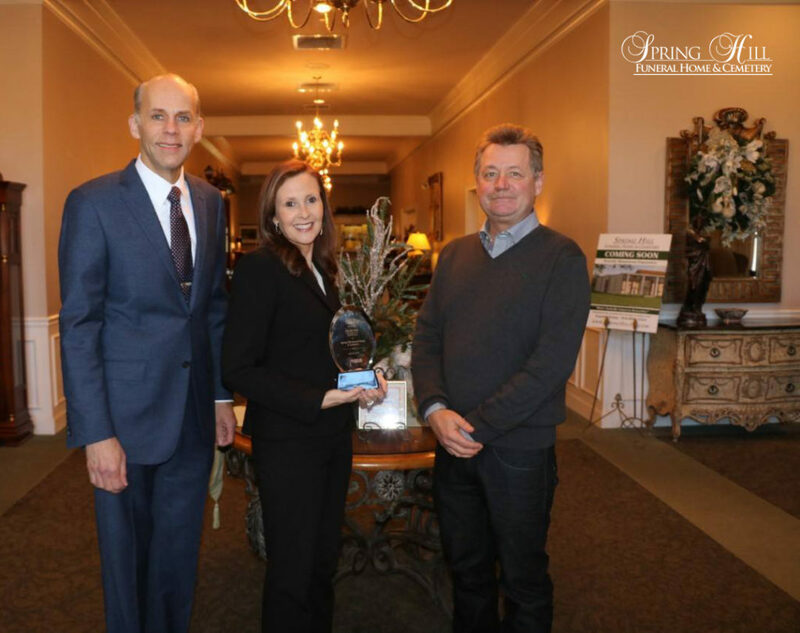 Thank you, Spring Hill Funeral Home & Cemetery for a very special ten-year partnership!